It’s hard not to crave a new handbag every season, but finding the right one is a surprisingly personal and often difficult task. There’s much to consider: your bag should fit your lifestyle, your sense of style, and of course, there’s budget to consider. From totes to clutches, the hunt for the perfect bag is definitely hectic. Recently, I have been looking for the perfect bag that would be able to carry my gym clothes as well as look chic to carry to work. I am not a fan of having carry around extra luggage with me. 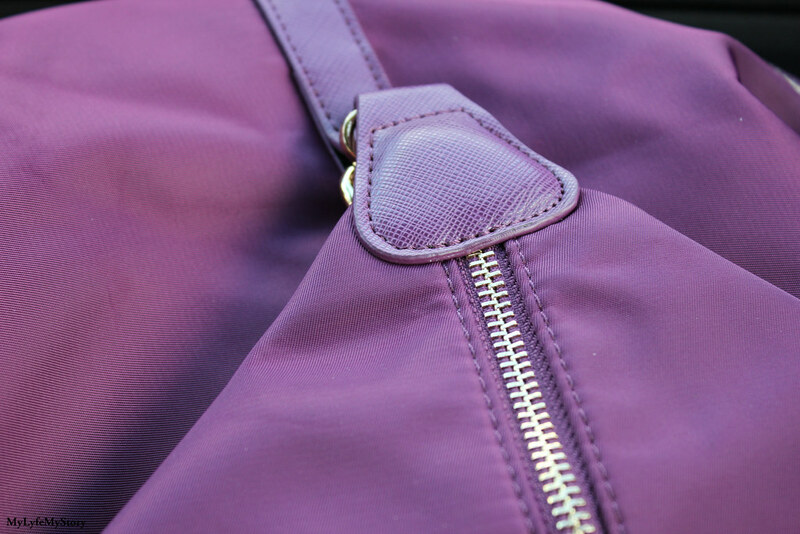 However, I recently came across Purple Fashion Nylon Travel Backpack from yoyomelody. This particular bag, fits my lifestyle perfect! 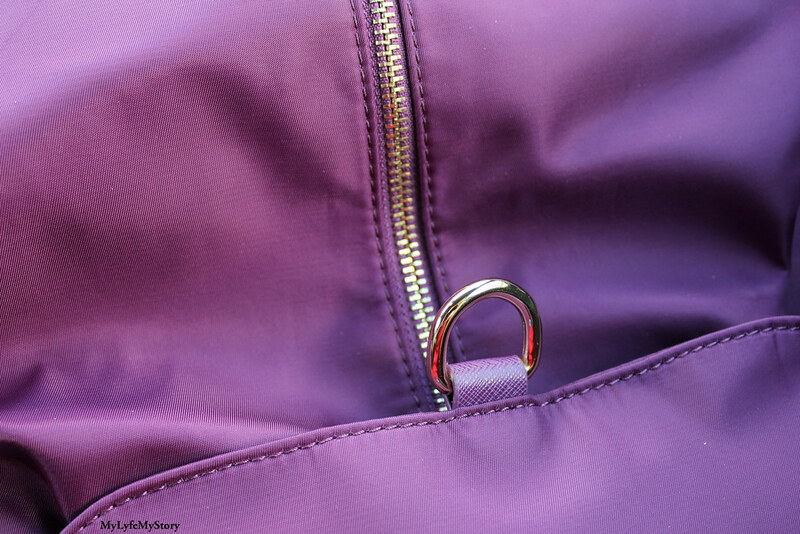 It's the perfect colour for fall and the perfect size to carry all my daily belongings. 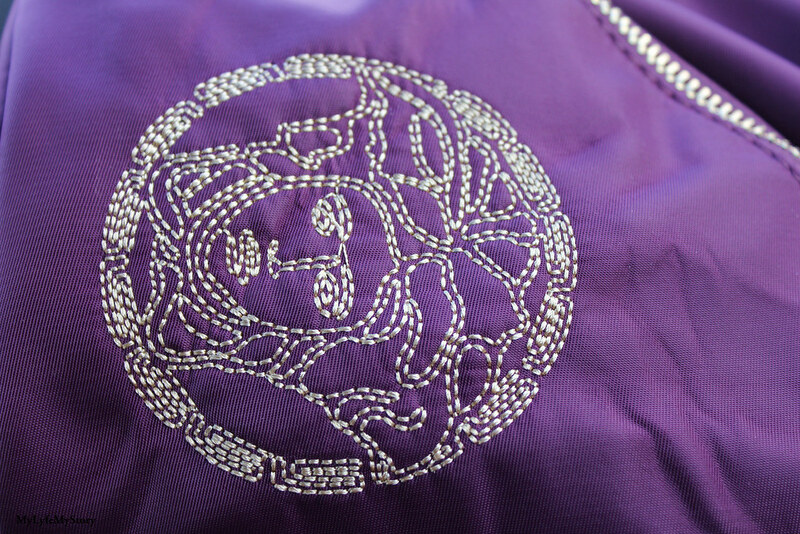 I decided to name this post as "Versace" since it have the unique design on the side that resembles the famous Versace logo. The backpack is crafted from soft PU material with double straps. 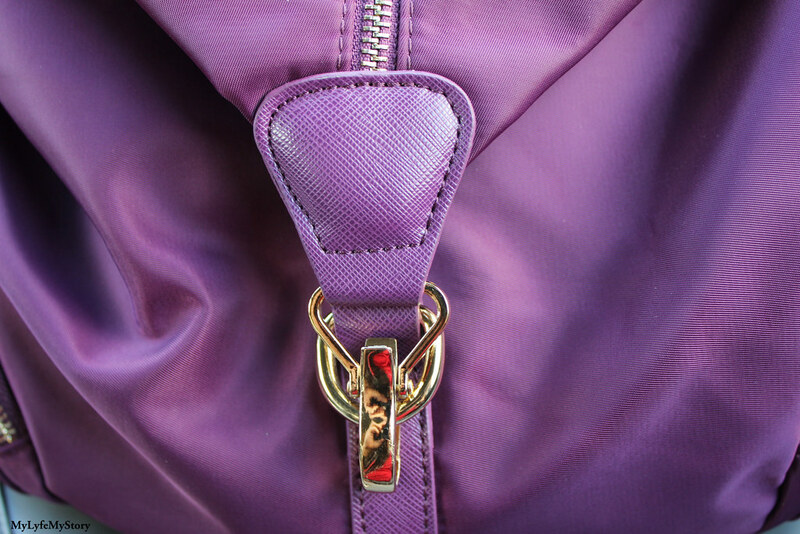 The bag is high quality from the golden details to the gold zipper. Even though the bag look a bid empty in the photos, normally during the weekdays I have been carrying my gym items, lunch as well as files in this bag. There is tons of available space in the bag and on the TTC you can easily place on the side without the fear of something fall out of it. Definitely my perfect and easy accessible bag!! In case you were wondering, recently backpacks are the new must have accessory for 2015 Fall/Winter season!! What do you think of the bag and tomorrow, I will post the full outfit post. The bag looks so amazing! So great bag love its amazing color! 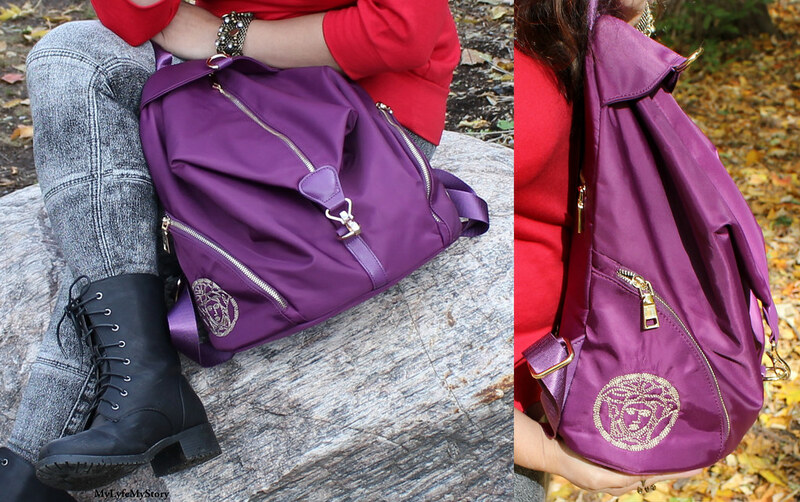 What a beautiful bag in a fabulous color. Gorgeous! Iove the bag! Have a nice week! Lovely bag. The colour is just amazing. What a beautiful bag! I love the colour of it. I completely agree, finding the perfect bag is quite hard, but I think you did an amazing job. This purse suits you very well. That is a GORGEOUS color and would make any outfit pop. Great find! 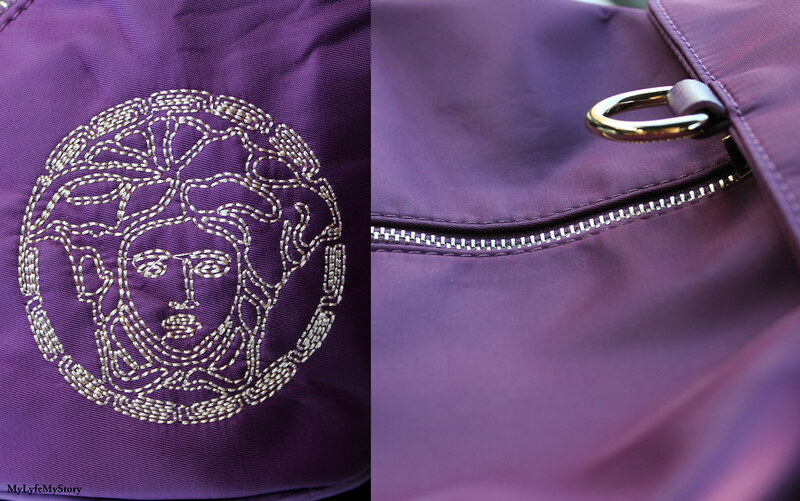 I love your Versace inspired bag, looks so amazing and beautiful!! !